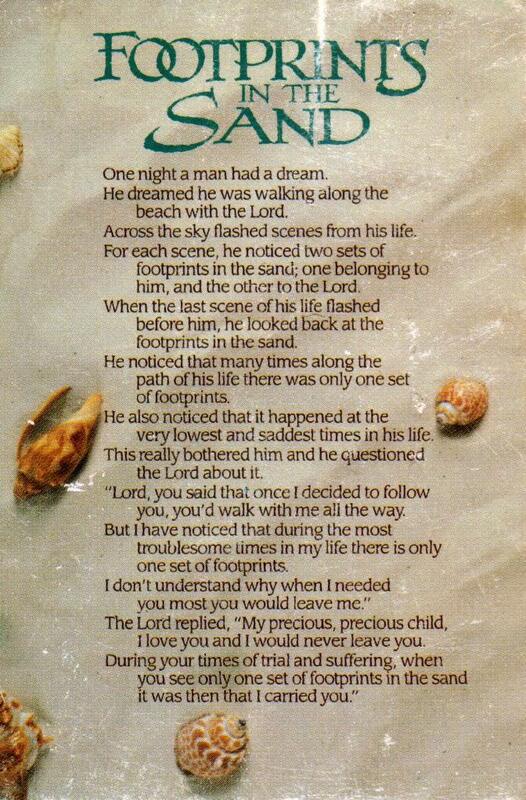 I love the story Footprints in the Sand. If you haven’t read it, go read it now. I grew up with this story on my mother’s wall. It was a pretty picture with the prose mounted in a frame. Did you know that no one claims ownership of this story? Author unknown. That’s kinda cool, too. I know some people might think it’s cliched. But that’s only because it was so popular. Read it again though. As if reading for the first time. It’s still good because there’s a surprise. Good writing has a surprise.